Jeera Aloo is one of the easiest and quickly make recipe. 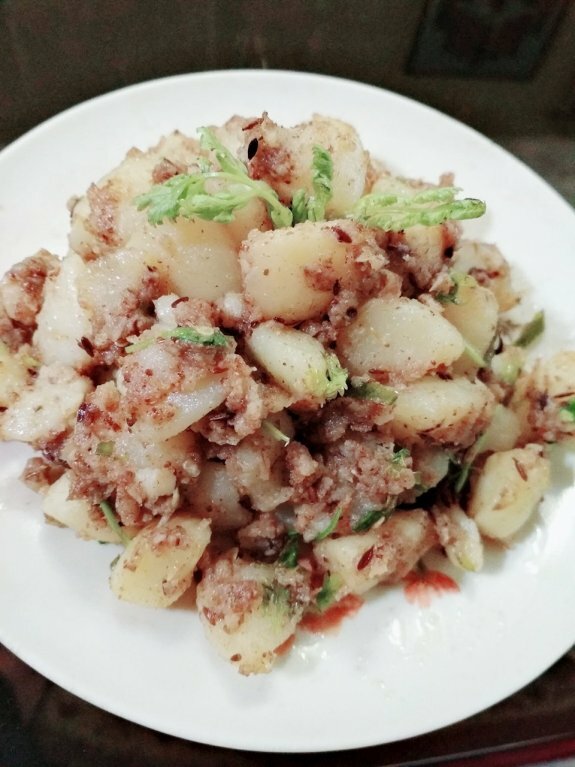 When you don’t want to spend much time on the kitchen but still want to have some delicious dish, at that point Jeera Aloo would be the right choice. The crushed cumin seeds add great flavour and texture to the boiled potato pieces. You can eat this with any kind of roti, paratha or rice. 1. Heat oil in a pan and add cumin seeds and whole green chili. 2. When cumin starts splutter, add boiled potato cubes and just sauté it for 1 to 2 minutes. 3. Now, add roasted cumin powder, red chili powder, crushed coriander powder, dry mango powder and mix everything well. 4. Stir carefully so that the Masala coats all the potato cubes well. Cook for another 1-2 minutes. 5. Now, add fresh and chopped coriander leaves and stir. Serve hot with roti or rice.